A Husky Liners WeatherBeater cargo liner perfectly complements the style of the WeatherBeater floor mats from Husky Liners. They utilize the same unique pattern and have the same great features as their floor liner counterparts do. 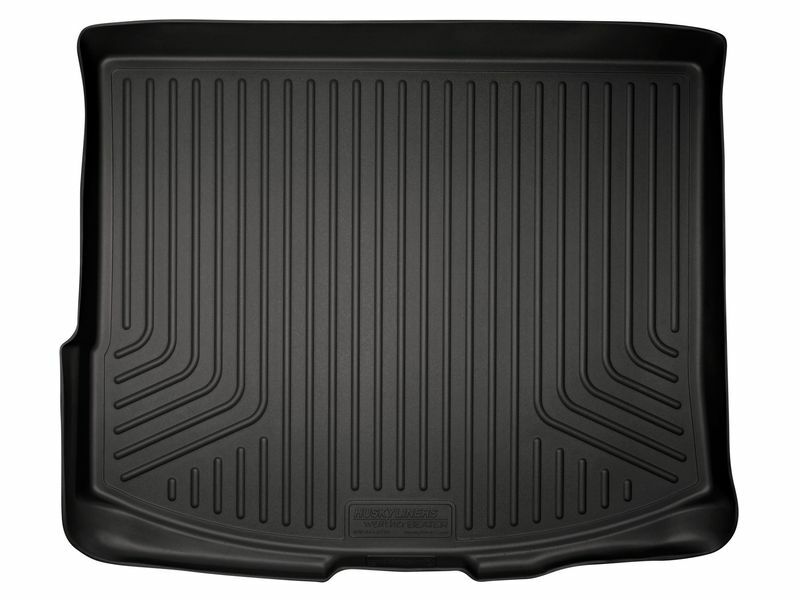 Each cargo liner is made with Husky Liners exclusive elastomeric material. This material will not break or crack, no matter what the temperature is outside. These cargo liners are also resistant to most chemicals, including gas. WeatherBeater cargo liners also have a patented Form-Fit edge that gives the cargo mat a finished look and helps it retain its shape. The raised edge also keeps dirt and grime from reaching your carpets. Husky Liners uses the latest laser technology to scan each vehicle, ensuring that your cargo or trunk liner follows all of the contours and fits like a glove! When your cargo liner arrives it is recommended to let it warm up before installing and putting it to use. Letting it warm up will help eliminate any curling that may be caused by shipping. 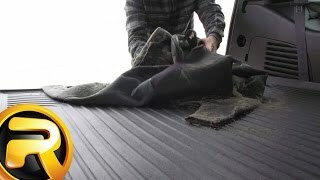 Keeping your cargo liner clean will also be easy since no special soaps or cleaners are needed. Simply hose it off and put it right back in your cargo or trunk area. 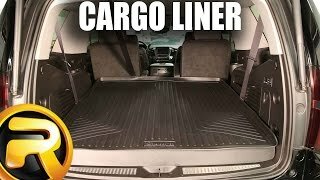 Give your car or SUV the custom protection afforded by a Husky Liners WeatherBeater cargo liner. You can choose from black, grey, or tan to best match your interior. Your Husky Liners are made in the USA and have a lifetime warranty against cracking or breaking. So go ahead - Get Dirty!! Husky Liner is offering a lifetime warranty on the Husky Liners WeatherBeater cargo liner. Your new Husky Liners WeatherBeater Cargo Liner will be simple and easy for you to put in by yourself. It is recommended to let your new cargo liner warm up before putting it into active duty as it may curl somewhat from the shipping process. For additional information or if you have any questions, please call us at 1-877-216-5446.